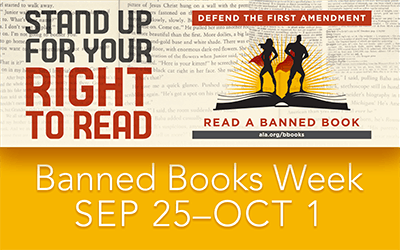 It is Banned Book Week 2016! New books are added every year – and some never make it off the list (Catcher in the Rye and To Kill a Mockingbird are two examples). Many of the banned books are novels, but a number of science books have also been challenged. Any writing or discussion demonstrating the heliocentric nature of the universe was banned in 17th Century Europe. Writings by physicist and astronomer Galileo Galilei were banned and he was charged and convicted of heresy by the Inquisition in 1632 for writing, Dialogue Concerning the Two Chief World Systems. Books and teaching materials on Darwinian evolution theory, including The Illustrated Origin of Species by Charles Darwin were banned in schools in Tennessee following the Butler Act of 1925. The Menifee School District in California banned Merriam-Webster’s Collegiate Dictionary. It was banned for having definitions that were too explicit. The Golden Book of Chemistry Experiments, written in 1960 by Robert Brent and illustrated by Harry Lazarus was banned in the United States for being too accurate in its scientific initiative. If you are interested in exploring Leonardo da Vinci’s engineering works, check out Doing da Vinci. Four builders and engineers attempt to build never-before-constructed inventions! da Vinci’s armored tank, siege ladder, self-propelled carts and even a machine gun are featured on this 2-disc set! Will his creations actually work? Doing da Vinci will show you! We have many resources that relate to Darwin, Galileo, and da Vinci. Come explore our library and find these titles and more! Banned Books Week. 2016. Thunderclap, Inc. Banned Books Week. 2014. Cornell University. Banned Books in the Sciences. 2016. Albert R. Mann Library, Cornell University. Why Diverse Books are Commonly Banned. Sept. 21, 2016 by Maggie Jacoby. 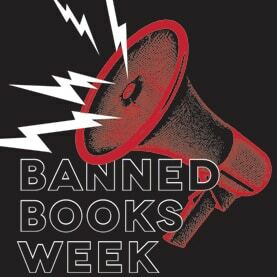 Banned Books Week. Interested in doing some “Punkin Chunkin” for Halloween?